Tuesday May 20, 2014 - The legacy of flouting rules and procedures in governance - planting the seeds of chaos in Sierra Leone's fledgling democracy. A look at the civil service again as rules get routinely ignored and bent as the government loses control over its information management systems. We have in the past warned against the use of party connections and nepotism in the affairs of government highlighting that our troubles could be traced to the subverting of rules and regulations aimed at getting both the government and the governed to appreciate the benefits associated with due diligence to the country's system of governance. We had highlighted the dangers of having press attaches taking upon themselves the role of official government spokesmen/women spewing on the internet whatever fancies the imagination and encouraged by the rat at State House as long as it is full of the usual praise-singing mantra. Press attaches, as far as Civil Service rules go - are civil servants bound by rules and regulations that govern theirs and other jobs and are not permitted to air their views in public without clearance from the Ministry of Information and Broadcasting - the official Public Relations arm of the government. Again we would want to remind those in authority that having press attaches engaged in publishing articles on the internet attacking other political parties is wrong and in violation of their duties as civil servants bearing in mind that there's a big difference between these press attaches who are paid from government coffers, the Consolidated Fund, and those praise singers who are paid from political party funds. Just as Siaka Stevens found it difficult to cut a clear line between his pocket and that of government coffers, we do hope that at the end of the day when it comes to accounting to the people, the rat and his system would be in a position to clearly tell the people that jaunts by APC functionaries to grace APC party matters abroad are not funded by the tax paper but by the APC party. At Independence, the departing Colonial Administration left behind a well established and professionally trained Civil Service on the White Hall model in the United Kingdom. The concept and definition of the Sierra Leone Civil Service was the same as that adopted by White Hall based on the popular formulation of the British Royal Commission (The "Tomlison Commission) on the Civil Service in 1929 - 1931 which I reproduce below: The Civil Servant ". . . the Servant of the Crown other than holders of political or judicial offices, who are employed in a civil capacity and whose remuneration is paid wholly and directly out of monies voted by Parliament". (i) Merit - The appointment to public positions of the candidate best qualified for it. (ii) Neutrality - Civil Servants should be politically neutral. (iv) Impartiality - The economic opportunity of government employment should be accessible to all citizens without favour. 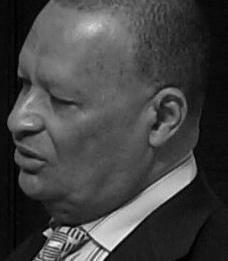 He said that between 1965 and 1967, certain events on the political scene saw the service moulded into a political tool to serve the then SLPP government of Sir Albert Margai after the party suffered at the polls at the hands of an emerging and popular APC party led by former trade unionist, the one and only Siaka Probyn Stevens who became Mayor of Freetown after his party gave a good hiding to the ruling SLPP. 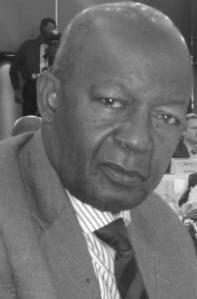 The SLPP party was in power, and with the ever-rising tide of popularity of the APC, the then SLPP led government of the Late Sir Albert Margai became jittery, uneasy, perplexed and confused. Within a very short time the APC had scored resounding victories in succession at local government elections. In October 1964, the APC won the Freetown City Council Elections. That election made Siaka Stevens the leader of the APC become the 39th mayor of the City of Freetown. In the District Council Elections of 27th May, 1966, the APC won 72 out of the 95 contested seats in the North. The SLPP was disoriented. Determined to win the General Elections scheduled for April 1967, the then SLPP party resorted to using Civil Servants all over the country to employ their best endeavours to return the SLPP to power as the majority of them were in key positions to serve as Returning Officers. These events were to dent the image of, deprive for good, and infact change the status of the Civil Service and the Civil Servant from that of a highly respected, dignified, impartial and independent institution to that of a lame-duck organisation. By these events the impartiality and neutrality of the Civil Service were lost. Instead of being chief advisers on policy to the Minister, Civil Servants were reduced to only receiving instructions. They became pawns in the political game of politicians. Having gone to town on the SLPP government and its subverting of the Civil Service for political ends, Mr Munu though looking at things from the APC lens did not spare his party. The APC also was a key player in the polarisation of the once highly respected and politically neutral body. ...the APC government that succeeded the NRC in 1968 inherited a Service in which there was no love lost between them. The new government was apathetic to and suspicious of the Civil Service. Rightly or wrongly, the new government entertained the fear that the Service still maintained lingering ties with the defeated SLPP government. But the problem of the APC at the time was that it was forming a government for the first time. It had no experience in governance, and a good number of the material it had for Ministers were just Secondary Schools leavers. So the government had no choice but to work in sensitive Ministries and Departments with the officers they met there. Contrary to popular expectations however, the freedom and respectability of the Service was restored during the tenure of the APC as a Government. No dramatic development took place in the Civil Service until the promulgation of the Republican Constitution and the One Party Constitution of 1978, when it was decided to politicise the Civil Service. Certain grades of Civil Servants hitherto prevented from taking active part in politics were allowed to participate. That policy of politicising the Civil Service was severely criticised and condemned by many. Personally, I regarded it as an unfortunate development. Civil Servants should remain civil servants if conflict of interest in their job was to be avoided. The justification of the APC government which introduced that policy could have been that as a One Party State, all the players in governance of the state should be seen to tow the party policy, act in unison, and thereby rise or fall with the fortunes of the Party. At that material time also (1968-1990), the country witnessed serious lapses in the official conduct of many Civil Servants. A series of investigations on financial malpractices were conducted and a sizeable number of those investigated were found culpable and suffered, some by dismissal, and others by imprisonment. That was the time of the so-called "Vouchergates" and "Squandergates". Civil Servants shall take decisions solely in the best interest of the country. They shall not take such decisions in order to gain financial or other material benefits for themselves, their families or their friends, but for the benefit of the people of Sierra Leone. ii) Civil Servants shall not take part in political party activities such as canvassing on behalf of candidates or causes, writing letters to the press on party political matters, accepting any office in any political party organisation and must not be influenced by partisan political considerations to compromise their impartiality and neutrality in the discharge of their official duties. Officers are however entitled to their own views on political matters and if so qualified may vote in elections. As with all good intentions on paper, it remains to be seen if the lofty ideals enshrined in the working programme of the HRMO will be put into immediate practice that will see the restoration of decorum, protocol and order in the affairs of the Civil Service and civil servants.